Welcome to the aesthetic pruners association! The APA is a non profit association established to promote and develop the craft of aesthetic pruning and support professional pruners in their work. The APA encourages the growth and development of the aesthetic pruning profession and its business practices. We maintain a high standard of craftsmanship, sound horticulture practices and artistic expression. The APA strives to expand awareness and appreciation of aesthetic pruning among the general public and industry professionals. We work to enhance the science of aesthetic pruning, stimulate the exchange of ideas and technical information, and deepen personal understanding of the artistry of aesthetic pruning. The APA directory can help you find the right pruner for you and your garden. If you would like to receive APA information and updates about events, please subscribe to our email list! Get Your APA Garden Tour Tickets Today! Aesthetic Pruning is the creative interpretation of small trees and shrubs. This living art form combines the artistic skill of the pruner, the essence of a tree, the science of horticulture and the needs of clients and surroundings. 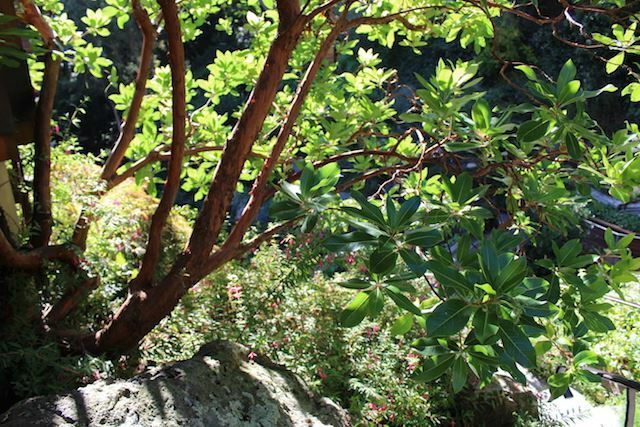 With its foundation in Japanese garden pruning, bonsai and aboriculture, aesthetic pruning incorporates visual art and design principles to work with plant material within its unique setting. Due to the universality of its approach, aesthetic pruning benefits all situations and garden styles. Aesthetic pruners focus their work on trees and shrubs under 15 feet tall. They are dedicated to the craft of pruning, versed in many styles and have a long term vision with an emphasis on health and beauty. APA events are a great way to expand your knowledge of aesthetic pruning as well as connect with others who share a passion for trees. The Certified Aesthetic Pruner designation indicates a high level of proficiency in applying the art and science of aesthetic pruning in a variety of situations. CAP's are adept pruners who understand the biology of woody plants as well as design and art principles. If you are an APA member you can log in to your account to access our forum.